As there are many tech blogs, where all the tech related stuff is gathered. So, for getting all such tech stuff we need to review some of the top and most popular technology websites to write some good and trending stuff on our blogs. 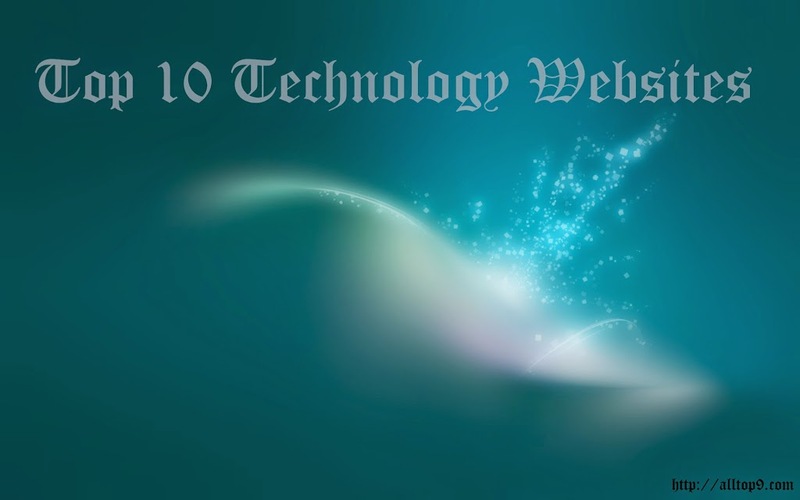 For that many of them may known or unknown the top 10 most popular technology websites around web. Today on All Top 9, we gathered all the top 10 most popular technology websites where you can review them daily for trending stuff. Gsmarena is the second most popular technology website, which provides technology reviews, gadget reviews, prices of gadgets(smartphones, mobiles, laptops, tablets etc), full specifications of gadgets, comparison of gadgets etc! just type GSM in the google search and you will know why Gsmarena is so popular, even it is dominating the wikipedia for the “GSM” keyword, this proves it to be one of the best and most popular technology website out there! we all know Yahoo! as a famous search engine early from 1990’s and on Jan 2014, it launched it’s Yahoo! Tech website which is first of it’s kind writing reviews purely based on human emphasis on the tech side! lot of us doesn’t bother about what’s the processor inside the phone or laptop, they just want to know whether it’s working fastly or not! so it’s Yahoo! Tech with a new idea on providing new kind of reviews and with My Tech feature you can personalise the products too! These are the Top 10 most popular technology websites as per alltop9 team, these tech websites covered everything from a small computer peripheral to a big gadget, in depth analysis of the gadgets, video reviews etc and we ordered it based on content and the way they provide it! If you think there need to be an addition, please comment it! we are sure we will add it up!